"These are delicious." My work is done here. Good night everyone! I found this recipe for Crock Pot Ribs on the Stay At Home Chef blog. I made a rub of onion powder, paprika, salt and pepper. I put the rub on both sides of the meat. I did not remove the membrane for the under side of the ribs. I brushed both sides of the ribs with BBQ Sauce. I used Stubbs Original. 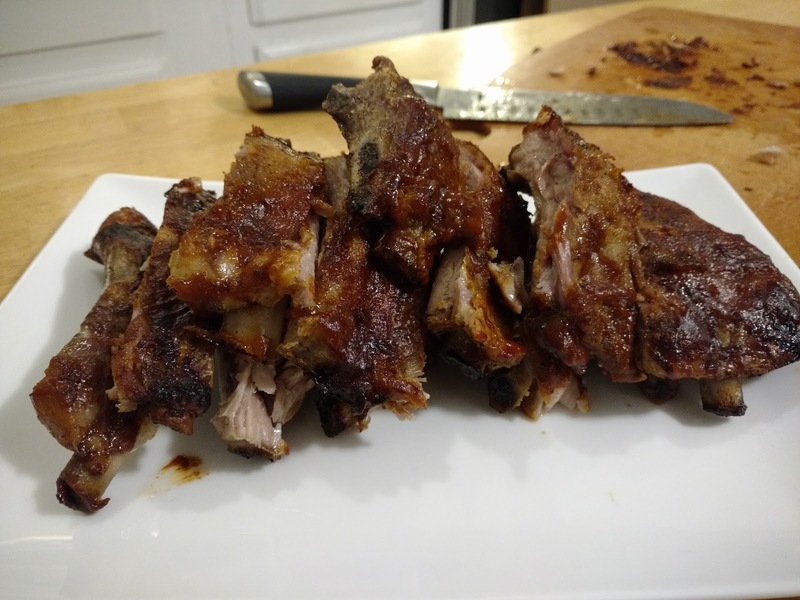 The ribs went into the Slow Cooker set on low for 8 hours. 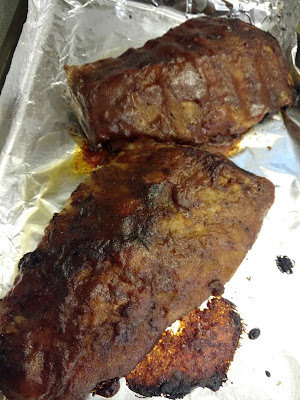 I removed the ribs from the Slow Cooker and placed them on a aluminum foil lined cookie sheet. 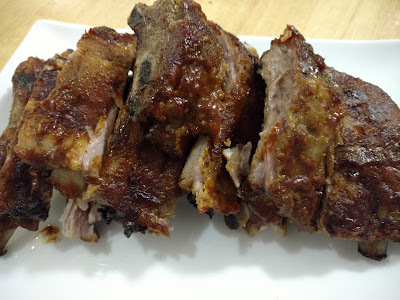 I brushed the ribs with more sauce. They went under the broiler set on low for almost 5 minutes. They were tender and the BBQ sauce was caramelized. Nice!